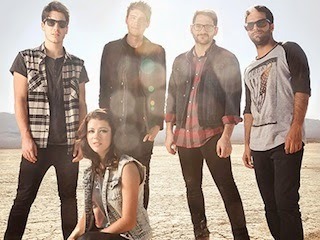 Thought you were already excited for the upcoming release of We Are The In Crowd's new album Weird Kids? Well, here's another reason to add to your list. The band have announced that a special edition of their sophomore album will be available to purchase exclusively at Best Buy, which includes two bonus tracks titled "Perfect Reason" and "Waiting." Weird Kids officially drops February 18th via Hopeless Records. A variety of pre-order bundles can be found here. Don't forget to catch We Are The in Crowd on tour this spring alongside William Beckett, Candy Hearts, Set It Off and State Champs! Dates and ticket information can be found here.